When tax difficulties arise, Phoenix area consumers have rights and options that they should bear in mind when these consider strategies for dealing with the IRS. So many of our clients come to us with unfilled returns and almost always the reason offered for not filing is that they didn’t see the point because they weren’t going to be able to pay the taxes. But not paying isn’t a reason to not file. All you do is create penalties and lengthen the time period for collection. There is no upside to not filing. One thing that is almost always a bad idea is paying off your taxes with a credit card which you will then have trouble repaying. The reality is that the IRS will generally give you a much better deal than your credit card lender ever would. Generally there are four options for dealing with the IRS when you file a return and can’t afford to pay the bill or, in the case of multiple late filed returns, bills. First, enter into a monthly installment agreement with the IRS. Second, file for Chapter 13 Bankruptcy. Third, request a hardship determination such that your account is deemed “currently not collectible.” Finally, you can make an “offer-in-compromise” to pay less than what t for less than what you really owe. With the exception of Chapter 13 bankruptcy, all of these options hinge on IRS approval. Moreover, If the IRS doesn’t give you approval, you have the right to appeal and review of your situation. Through an Installment Agreement, The IRS allows you to pay taxes you owe in monthly increments for up to six years. The IRS does require a small “user fee” of $149 or less depending on your income to set up an installment agreement. The thing to remember with the Installment Agreement option is that interest and penalties will keep accruing until the day your balance is paid off in full. The good news is that The interest will be relatively low, currently about 4%, which is a lower than what you would pay if you used a card by far. If you have an installment plan, the penalty for late payment comes to only one fourth of one percent per month. Ultimately, the IRS might waive penalties if you qualify under its First Time Penalty Abatement policy, or if you have a good reason for your late filing and/or late payment. 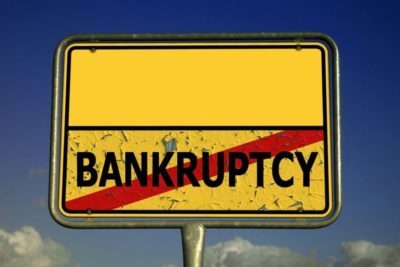 The second and favorite option at Phoenix Fresh Start Bankruptcy is the filing of a Chapter 13 Bankruptcy. Bankruptcy enables you to often not pay back personal income taxes that have been due for over three years. For those taxes that cannot be eliminated outright, Chapter 13 Bankruptcy gives you up to five years to pay back them back interest free. Chapter 13 often allows you to eliminate all your other unsecured debt outright so that you can focus on paying the taxes back. Moreover, Chapter 13 Bankruptcy enables you to set your priorities for repayment. For example, if you have a car loan with an interest rate, you can generally take care of that obligation first(often at a reduced interest rate or principal amount) and make the IRS wait for payment until you have taken care of car first. The third option is Offer-in-Compromise. Through its “offer-in-compromise” program, the IRS will often do a deal to take payment for less than what you really owe. This is allowed where the IRS finds that you can’t afford the full amount of taxes owed or where collecting the tax debt at issue would create an economic hardship or be inequitable. Generally, the IRS only approves offers when the amount offered equals your net equity in assets, plus your ability to make installment payments from future income. The IRS will normally take at least six months to assess an offer-in-compromise. While you are waiting, though the interest and penalties will continue to accrue, you will not be required to make any payments on your tax debt. Non-Collectible Status does not mean the tax debt is eliminated. The status can change if your financial fortunes get better. After you obtain Non-Collectible Status, the IRS reviews your tax returns on an ongoing basis and it will revoke the hardship status if your returns suggest a significant financial improvement. Moreover, penalties and interest accrue during the time that you enjoy Non-Collectible Status. Please set an appointment with Phoenix Fresh Start Bankruptcy Attorneys, If you have questions about how to deal with tax debt or any other debt for that matter. We are happy to help.